In support of the Greater Choice for At Home Palliative Care measure, Palliative Care Australia hosted this workshop in Canberra, 16 March 2018. 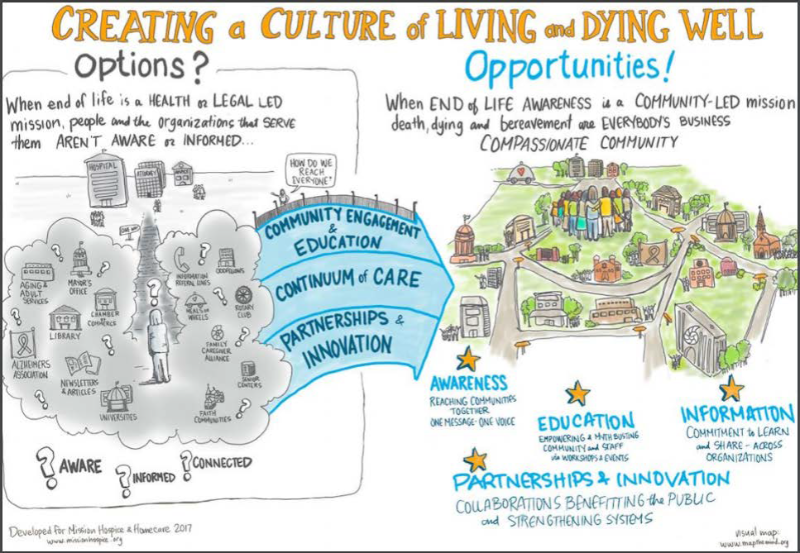 It provided an opportunity for the 11 Primary Health Networks (PHN) trial sites to come together and gain a greater understanding about Compassionate Communities and the public health approach to palliative care. Importantly, each PHN shared their project which provided an opportunity to explore what tools and resources were available or needed to support implementation and assure the achievement of proposed outcomes. There was shared agreement on processes to ensure ongoing support, communication and collaboration over the three-year project. An exciting space to be watching as these projects unfold!